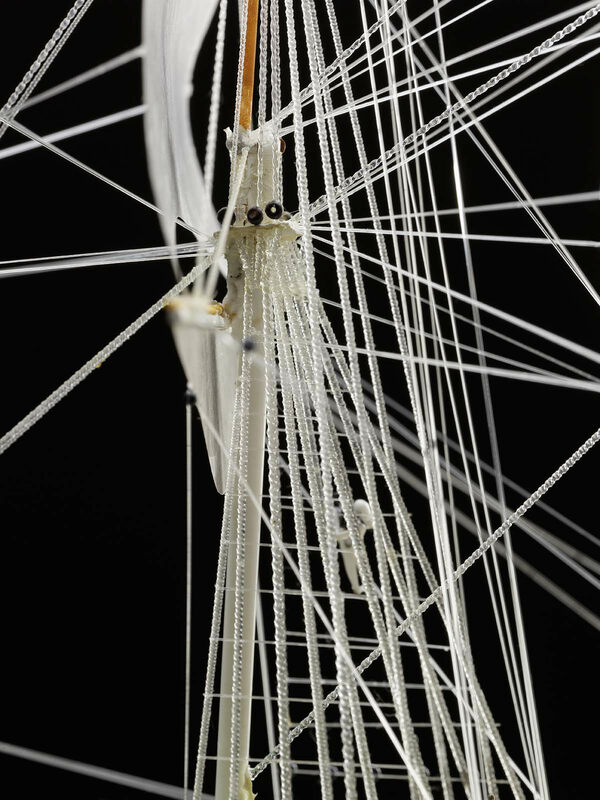 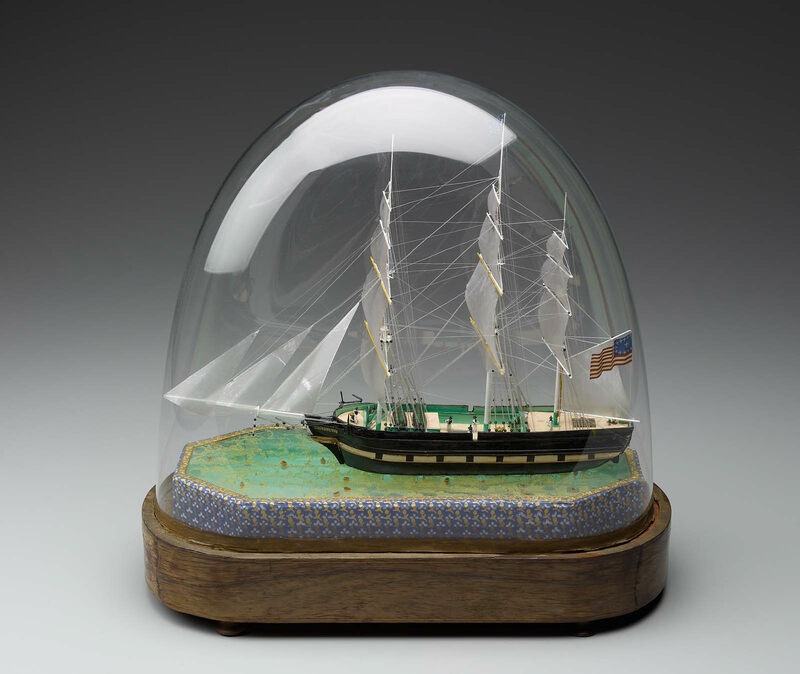 Water line model, not to scale, of the C. Andrews; sails and rigging are of glass; on inlaid stand with small button feet; enclosed in bell glass. 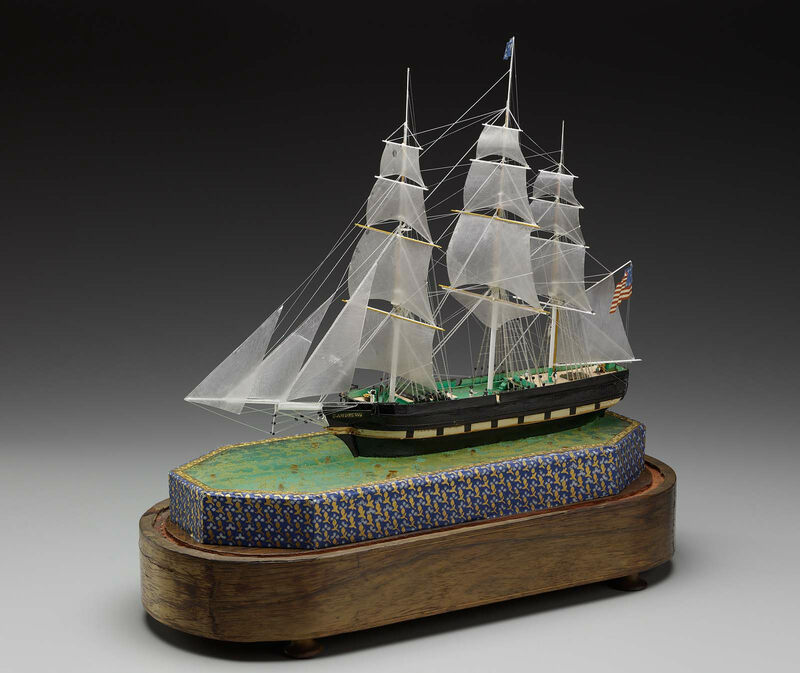 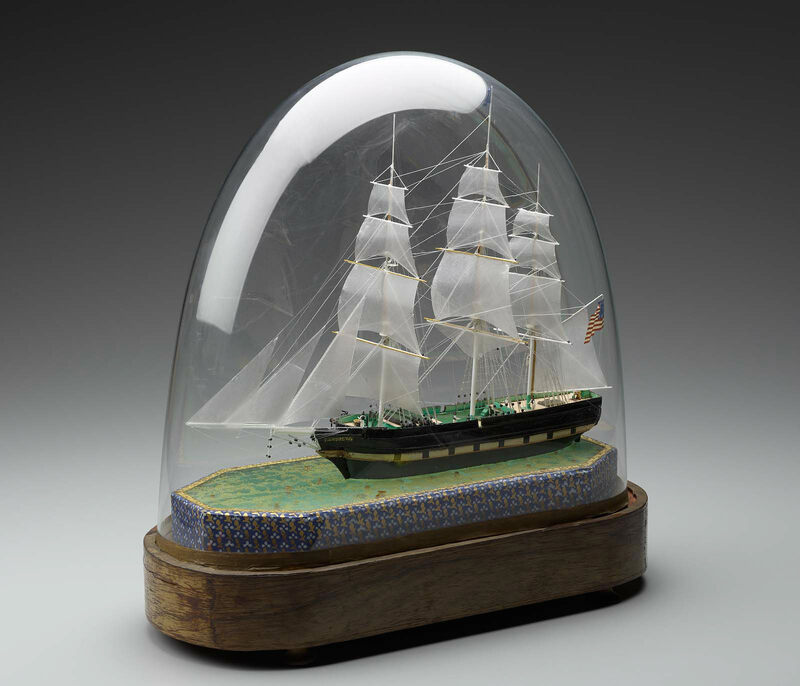 Although the exact date and history of this merchant ship has not yet been discovered, all aspects of the model indicate that it was made by the same shop and at virtually the same date as the model of “Henry Newell,” displayed nearby. 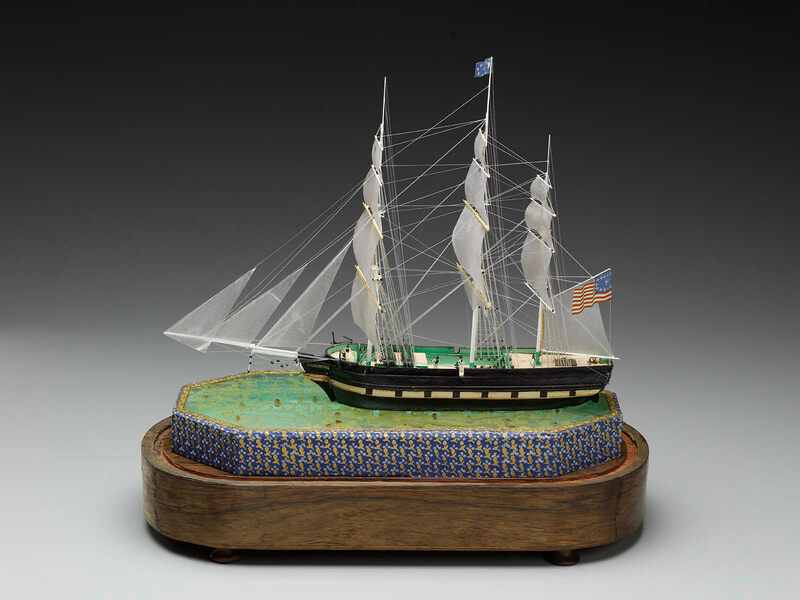 Early history unknown; in the collection of Allan Forbes (1874–1955) of the State Street Trust Company, Boston; by descent in the family to his grandson, Allan Forbes Leland; gift to MFA November 23, 2005.